RAPAPORT... De Beers has signed up Alrosa to its blockchain pilot, bringing the world’s two largest diamond producers together for the source-verification project. 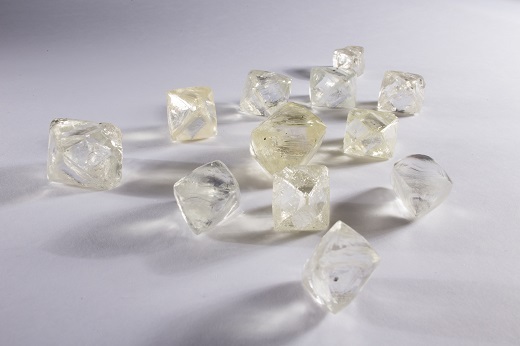 “We believe tracing requires industry cooperation and complementation for the sake of a common goal,” Alrosa CEO Sergey Ivanov said in a statement Monday. De Beers’ Tracr platform tracks diamonds from the mining stage to finished jewelry using a tamper-proof record of each stone’s route through the supply chain. The pilot launched earlier this year, with diamond manufacturers Diacore, Diarough, KGK Group, Rosy Blue and Venus Jewel participating alongside retailer Signet Jewelers. Alrosa’s involvement has the potential to expand the project significantly, as the two miners together account for just under half of global rough production. Alrosa was also one of the early participants in M2M, a mine-to-market tracking program and mobile app for consumers that the Gemological Institute of America (GIA) launched in 2017.